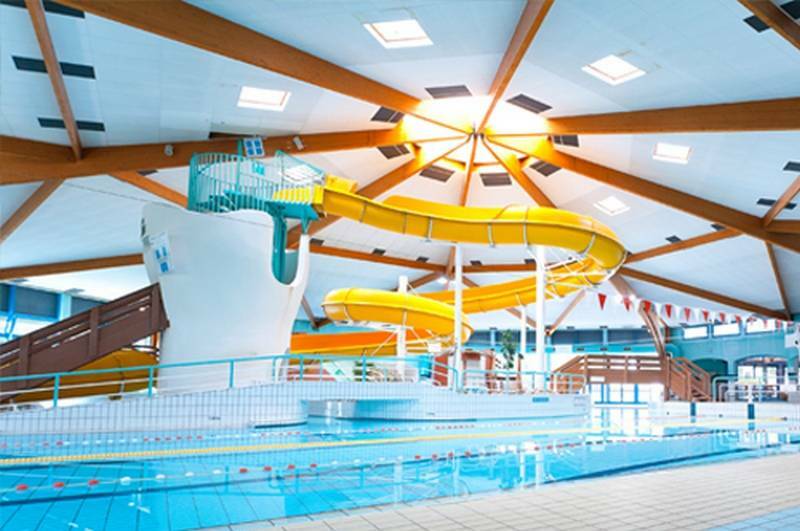 In the heart of a pine forest, the Aquatic Park "Espace Grand Bleu" is located in the plain of games in La Grande Motte. It includes a set of pools and games usable all year long inside covered and heated buildings: sports and recreational pools, slides, river, massage jets, solarium, whirlpool, relaxation area and cafeteria. Outside, it is a park of more than 3 ha which is offered to you with beautiful lawns and play areas for the little ones. No less than four slides await lovers of sensations, fast river, waterfalls, hot tub, river buoys, wave pool are also part. Here, everything has been designed for play, laughter and relaxation. The shady lawns welcome families who spend the day here, picnics are allowed. A distributor offers sandwiches and drinks to spend a pleasant day.